Please email the office if your child / children are absent. School Tours are held Tuesday @ 12pm. If you require an alternative time, please contact the office. Search 'Brentwood Park' in the app store or Google play. 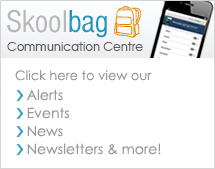 You can also click the image below to view the Skoolbag Communication Centre which displays all of the same content that is in our app.